Home » » How many visitors can a Koala bear? Koalas can become stressed by noisy and up-close encounters with human visitors, a University of Melbourne study has determined. 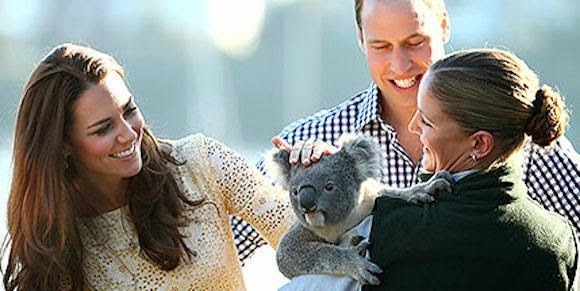 The koala is a much-loved Australian icon and extremely popular with foreign tourists, but little work had been done to understand how they cope with human interaction. Dr Jean-Loup Rault from the University's Animal Welfare Science Centre said researchers set out to answer this question. “Our study showed that up-close and noisy encounters with human visitors resulted in koalas showing so called 'increased vigilance', which is a common response to stress." "Stress is generally an energy-costly mechanism. This could be a problem as koalas survive on an extremely low energy diet — largely made up of Eucalyptus leaves — and minimize energy expenditure by sleeping 20 hours a day." Researchers tested the effect of visitor numbers, visitor noise, and visitor proximity on koalas at the Koala Conservation Centre, which forms part of the Phillip Island Nature Parks network. “This work also highlights the value and importance of behavioural observations as a monitoring tool to assess visitor-related stress in koalas” according to Zoo's Victoria's Sally Sherwen, a collaborator on the study. The research raises questions about the classic trade off between visitor education and animal welfare. “Some wildlife parks offer close encounters or even hands on experiences with koalas," said Dr Rault. "Only now are we beginning to understand the impact of these visitor encounters on koalas’ behaviour and welfare." 'Number of nearby visitor and noise level affect vigilance in captive koalas' is published in the May edition of Applied Animal Behaviour Science.